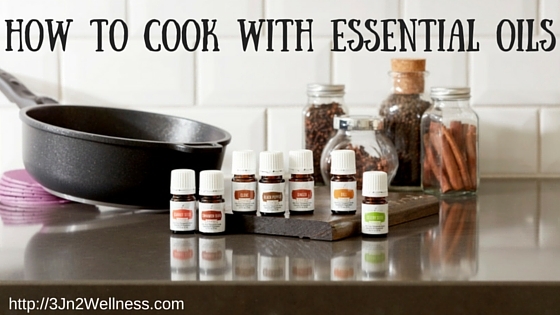 Have you ever wanted to cook with essential oils, but didn’t know where to begin? You looked at the label and it didn’t say it was okay to ingest or worse, it warned against ingestion? Or perhaps you’ve tried cooking with essential oils, but it didn’t turn out as expected? Here’s a brief intro on how to cook with essential oils. Whether you can ingest essential oils or not depends on the brand of oils you choose and the classification the oil has. 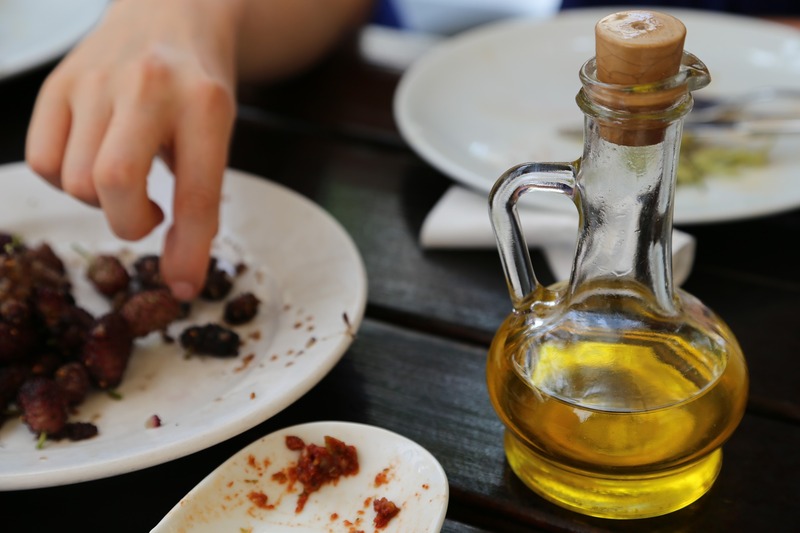 I recommend that you only use oils that are certified by the FDA as GRAS (Generally Regarded as Safe), FA (Food Additive) or FL (Flavoring Agent). If the label says “Not for internal use,” do NOT use that oil because it has been adulterated with chemicals that make it unsafe for ingestion. Ingestion of essential oils also depends on which school of thought you subscribe to. There are two main perspectives about essential oils: The British believe in greatly diluting all essential oils. The French believe in inhaling, applying topically and taking internally using therapeutic grade essential oils. They also believe in using oils as therapy, not just in aromatherapy. I follow the French school of thought that believes in using essential oils for well-being. This is a safe method if you use a common sense approach and read safety precautions. Only use food grade essential oils. I only use Young Living Essential Oils that have been tested and labeled safe in my foods. 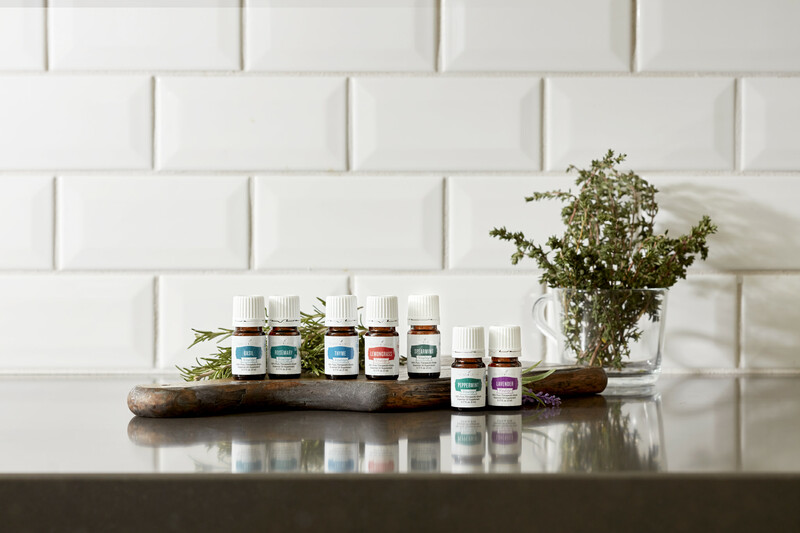 Young Living has made this easy for us with their new Vitality™ dietary essential oils, a brand-new line that gives you a new way to discover the versatility of YL’s pure, therapeutic-grade essential oils. So we know that ingesting any of the Vitality™ line essential oils is safe. Essential oils are highly concentrated. It only takes a little essential oil when you are cooking. In some cases, you need to put a drop on a toothpick and swirl it in… a little will go a long way! Young Living essentials oils are very potent, far more potent that the dried herbs and spices you are used to using. In fact, one drop of Young Living Peppermint Vitality™ Essential Oil is equal to 28 cups of peppermint tea. It is very highly concentrated! When drinking water or smoothies with essential oils, please use only glass or stainless steel. Never use plastic or Styrofoam. It will eat away the petrochemicals of the cup because therapeutic grade oils scrub away chemicals. 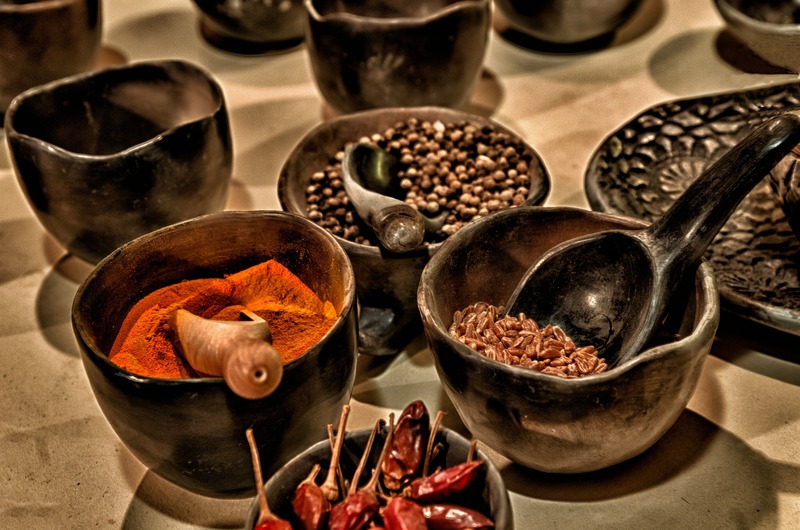 The simplest way to start using essential oils in cooking is to substitute them for dried herbs and spices in your recipes. When a recipe calls for less than a teaspoon of herbs, dip a toothpick in the oil and then swirl it in the recipe to blend. Don’t put the toothpick back in the oil after stirring the food. Always use this method for cinnamon bark oil, clove oil, ginger oil and nutmeg oil. These are much stronger than the spices. If you want to replace the juice or zest of one lemon, orange, tangerine or grapefruit, use 1 drop of the essential oil per serving. In other words, if your recipe will serve 10 people, 10 drops is fine. Keep in mind that you don’t want to have more oil in something than one person should consume. One tablespoon or more of basil, oregano, rosemary, thyme, fennel#, dill, black pepper, or celery seed can be replaced with 1/2 – 1 drop of its companion oil. Use glass bowls when mixing with essential oils so toxins don’t come out from the plastic. Be careful when dropping an oil into the recipe; some oils come out quickly, some very slowly. So, be careful and ready to tip the bottle up quickly or move it away from the bowl so you don’t end up with too many drops. When cooking, add essential oils at the very end before serving. When baking, add in the order shown in the recipe. Therapeutic grade essential oils are safe when used as directed. Read the complete label before using. For those not currently drinking enough water, it can be difficult to increase this habit. So try spicing it up with just a few drops of Vitality™ essential oils. Try 2 drops per 20 ounces for a nice hint of flavor of Citrus Fresh Vitality™, Grapefruit Vitality™, Jade Lemon Vitality™, Lavender Vitality™, Lemon Vitality™, Lime Vitality™, Orange Vitality™ and Tangerine Vitality™. But you may find other more savory oils you enjoy such as Ginger Vitality™, Peppermint Vitality™, or Cinnamon Bark Vitality™. Have fun playing with your own special blends and you’ll be drinking plenty of delicious, beneficial water in no time! Perfect for adding flavor to your favorite foods or using as dietary supplements, the Vitality™ dietary essential oil line gives you the freedom to share and explore some of our best-loved essential oils in a variety of nutritious and delicious ways. Add a drop or two of Lemon Vitality™, Lime Vitality™or Orange Vitality™essential oil to your favorite yogurt. Swirl and enjoy!! Dip apple slices in Thieves Vitality™essential oil for a yummy cinnamon treat that boosts your immune system. Any flavored water is a great way to quench your thirst and satisfy a need for a snack. Mix cream cheese with Basil Vitality™ or Rosemary Vitality™ essential oil and use as a spread for crackers. # – Pregnant women should consult their health care professional before using essential oils containing constituents with hormone-like activity such as Fennel, Clary Sage, Sage, Idaho Tansy and Juniper. Epileptics and those with high blood pressure should consult their healthcare professional before using some essential oils. Avoid Hyssop, Fennel, and Idaho Tansy oils. I don’t use essential oils but I would not have thought you could use them in cooking. Excellent blog topic. Many other reps out there, none as informative or educating the way you are. Thank you, Roz, I appreciate that. Great information. I wondered if you could cook with essential oils. I knew they were concentrated, but one drop of peppermint is the equivalent of 28 cups of peppermint tea? Wow! Good stuff. Thanks, Jackie. And yes, peppermint is very potent. I love it in water, but it takes about 1-2 drops for a half gallon. Although I am a long time user of essential oils, I’ve never thought of cooking with them. Often I use herbs or spices. This was a very informative post and opened up some new ideas and ways to use some of my favourite essential oils. Thanks for sharing all this wonderful information, Carol! So glad you enjoyed it, Beverley. Bon Appetit! Great post. You know, I was thinking this might work with my smoothies where I add a teasp of orange, lemon or almond extract. Hmmm, will have to keep an eye on your specials. Do they TASTE good too… like extracts do? Great write up there Carol. It took me a while before knowing the concept of using essential oil in cooking. I have learned a lot from you post and my next step is to substitute with herbs as you have explained. Thanks a lot for the great share. Thank you, Cindy. Hope you enjoy your new culinary adventure! Glad I could enlighten you, Katarina. I love essential oils and I would love to try them in my recipes. I see that you mention smoothies, that sounds like a perfect idea! Thank you!